Address on Effective Voting. – speech given by Miss Catherine Helen Spence to The Congress of Women: Held in the Woman’s Building, World’s Columbian Exposition, Chicago, U. S. A., 1893. A Plea for Pure Democracy: Mr Hare’s Reform Bill applied to South Australia – written by Catherine Helen Spence in 1861.
Who proved the block system a failure! On October 30 1840, a number of men gathered at the Beehive Corner in Adelaide to elect members of the Municipal Corporation for the City of Adelaide. Not only was this the first local government election in Australia, but it was also the first public election in the world using proportional representation principles. This significant election was conducted under Ordinance no. 4 of 1840 of the Governor-in-Council (Governor Gawler) entitled ‘An Act to Constitute a Municipal Corporation for the City of Adelaide’. This Act specified in detail a method of election with an untested but primitive form of proportional representation, whereby those entitled to vote (at this stage men only) could meet together to form groups or ‘quorums’ to elect candidates. In addition to these two ‘firsts’, this election was noteworthy in that the author of that part of the Act dealing with the method of election was Rowland Hill, Secretary of the Colonisation Commission for South Australia (later to invent the penny post and adhesive stamps), while the Town Clerk of the Corporation was David Spence, the father of Catherine Helen Spence. Despite this significant election, it was not until 1859 that Miss Spence received her ‘strongest political inspiration’, so much so that ‘reform of the electoral system became the foremost object’ of her life.5 At that time she read John Stuart Mill’s review in Frazer’s Magazine of three books on parliamentary reform, one of which was Thomas Hare’s A Treatise on the Election of Representatives, Parliamentary and Municipal. Mill judged Hare’s book ‘the most important work ever written on the practical part of the Subject’. Miss Spence read Mill’s article on a Monday night and early the next day she wrote a piece which she read to her brother at breakfast and then immediately posted it to the Argus in Melbourne. So began Miss Spence’s campaign for proportional representation, a campaign that continued until her death in 1910, a campaign that involved much writing of letters and articles, and of addressing meetings not only throughout South Australia, but in the eastern States as well as America and Britain. While the Argus refused to publish her piece, she went on to write several letters to the Register, and then in 1861 she wrote A Plea for Pure Democracy: Mr Hare’s Reform Bill applied to South Australia. This was at her brother John’s instigation as he had offered to pay for the printing of 1 000 copies of a pamphlet on proportional representation (cost 15 pounds). While working on the Plea, Miss Spence wrote ‘I felt the democratic strength of the position as I had not felt it in reading Hare’s own book’.6 The book she referred to was Hare’s Treatise on the Election of Representative, which contained the detailed provisions of the electoral system known as the Hare system of proportional representation. As part of South Australia’s sesquicentennial celebrations in 1986, the Electoral Reform Society of South Australia reprinted A Plea for Pure Democracy incorporating notes that Miss Spence had added to her own copy in 1895. Ellinor Walker launched this reprint at a small ceremony at the statue of Miss Spence in Light Square on March 11, 1986; the day after the statue was unveiled by Her Majesty the Queen. Although the Telegraph showed some interest, it appeared that the Plea had little effect in South Australia, and Miss Spence herself admitted that her ‘pamphlet did not set the Torrens on fire’.7 Overseas, Hare, Mill and Rowland Hill considered the pamphlet the best argument from the popular side that had appeared. Despite the force of her political inspiration, Magarey claimed that Miss Spence did little more for the campaign for electoral reform over the next two decades 10 while Walker said that there was ‘now little trace of Miss Spence’s private speaking and public writing for proportional representation in the years 1861-1891’.10 While it is true, that Miss Spence did spend much of this time on her other interests, an examination of the Catherine Helen Spence Bibliography compiled by Barbara Wall shows that there were still considerable letters and articles published in relation to proportional representation. Furthermore, in 1865, Miss Spence ‘published a three-volume novel, Mr Hogarth’s Will, in which the hero reveals an unusual knowledge of the Adelaide Municipal Act and of limited and cumulative voting systems, and of course advocates Hare’s scheme’.12 In the same year, Miss Spence had the opportunity to travel to Britain, where she was able to meet Hare and Mill as well as Rowland Hill. When she returned to Adelaide, Robert Barr Smith offered to finance a public campaign for electoral reform and within a year Miss Spence had travelled 3,000 miles and spoken to over 50 meetings throughout South Australia. Her brother had suggested that instead of proportional representation, the campaign should use the term ‘effective voting’. As part of her delivery, she used mock elections to show how proportional representation worked; from these, 4,000 votes were collected and the Register undertook a public count through its columns. Based on this experience Miss Spence, now aged 68, left Adelaide to extensively campaign in America and Britain for electoral reform. She was one of the speakers at a Proportional Representation Congress held as part of the Chicago World Fair, held in August 1893. Significantly, the American Proportional Representation League was formed at this Congress. Miss Spence lectured to enough paying audiences in America – nearly 100 meetings – to be able support herself on the proceedings.16 While her campaign in England and Scotland was quieter than in the United States and Canada, she was able to renew friendships with many of those she had met previously. In London she spoke to a select gathering at the home of Thomas Hare’s daughter, which included members of the British Proportional Representation Society. Considering that the electoral system needed to be reformed first, Miss Spence had delayed giving her support to votes for women, believing that only with proportional representation could the will of the electorate be reflected in the parliament. Weak-kneed Miss Spence may have been, but her support by being one of the Vice-Presidents of the Women’s Suffrage League must have greatly increased the credibility of the movement. Miss Spence’s major activity continued to be her campaign for proportional representation. She resumed lecturing soon after her return. In 1895, the Effective Voting League was formed with herself as President, a position she was to hold for the rest of her life. Her brother John was appointed acting Secretary until Jeanne Young was appointed the first Secretary in 1897. 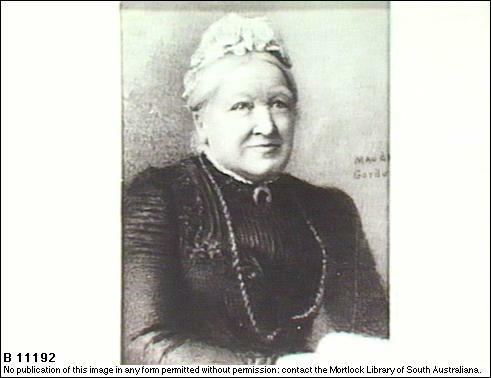 It is through Mrs Young that the current Electoral Reform Society of South Australia is connected to the original Effective Voting League and Miss Spence. In 1930, Mrs Young became the first President of the Proportional Representation Group, which changed its name in 1973 to the Electoral Reform Society. In 1896, Robert Barr Smith again financed another lecturing tour throughout South Australia, including all towns on the River Murray. In addition, and now assisted by the League, there was a continuing barrage of letters to the press, a series of pamphlets were produced, and politicians lobbied. At the State level, several motions for effective voting were introduced into Parliament during the 1890s, and every year from 1902 until Miss Spence’s death in 1910. The closest any of these bids came to succeeding was in 1900 when a motion in support was passed in the Legislative Council and only defeated on the casting vote of the Speaker in the House of Assembly. The Effective Voting League organised a large public meeting at the Adelaide Town Hall in 1901 with a speaker, Sir Edmund Braddon, who as Premier of Tasmania had inaugurated proportional representation there, but by then the impetus had passed. Miss Spence continued her travelling, visiting Victoria and New South Wales, addressing meetings and helping to establish the Effective Voting League in Melbourne in 1899 and Sydney in 1900. In 1905, she insisted that a reception for her eightieth birthday should be primarily an advertisement for effective voting. Three years later a new campaign was launched and she travelled as far as Peterborough. In 1909, she took part in the organisation of a vast newspaper ballot of about 10,000 votes designed to demonstrate effective voting. In examining Miss Spence’s life-long campaign for proportional representation, or effective voting as she often preferred to call it, it is necessary to assess just what she meant. This can best be done through her own words from her autobiography and some of her many articles, letters and pamphlets. Miss Spence’s efforts to achieve effective voting are still being recognised and are still influencing people. Only last year Uhr wrote that he was inspired by Miss Spence’s promotion of ‘that democratic spirit’28 while Barbara Wall joined the Electoral Reform Society after compiling the Catherine Helen Spence Bibliography. The most recent notable recognition was the issuing in 2001 of the Australian Federation $5 note with Miss Spence’s portrait, though admittedly on the back. In a 2003 media release the Australian Greens in South Australia suggested that this note should be called the ‘Catherine’. There is no doubt that Miss Spence would take more comfort from the fact that seven of the 15 houses of parliament in Australia are now elected by proportional representation. South Australia’s Legislative Council has been elected since 1982 by the quota-preferential method of proportional representation, which is almost the equivalent of the Hare-Spence method she advocated. Miss Spence would have been pleased, as she believed that ‘the ideal Upper House in a truly democratic country would be one elected by adult suffrage, by proportional representation, by all the people in it’.29 Similarly, proportional representation has been the method for electing the Australian Senate since 1949 with each State as one large electorate. Also of interest given the previously mentioned first ever local government election, proportional representation is now used for all local government elections in South Australia. Miss Spence would however find it disappointing that neither the South Australian House of Assembly nor the Australian House of Representatives is elected by proportional representation. One of the questions at the 2003 South Australian Constitutional Convention asked what the method of election for the House of Assembly should be. Many submissions, including those from the Electoral Reform Society of South Australia, the Proportional Representation Society of Australia and the Local Government Association of South Australia, argued for multi-member electorates and proportional representation. While the actual Convention did not examine this issue in any depth, the delegates did identify multi-member electorates for the Lower House as one of the reform measures they wanted. Miss Spence had found that while there was a general acceptance of effective voting, the ‘bedrock of the objectives raised to its adoption …exist only in the minds of the politicians’.31 This is still very much the situation today. For example, at the Constitutional Convention when the randomly selected delegates were given the opportunity to learn more about various systems of electing representatives, support for proportional representation increased dramatically.32 And yet most members of State Parliament, from across the political spectrum, are reluctant to even consider the merits of proportional representation. It is a sad irony that a successful conclusion to Miss Spence’s life-long campaign for proportional representation has still not been achieved in South Australia. Deane Crabb is Secretary of the Electoral Reform Society of South Australia. He has been involved in various activities aimed at securing the adoption of the quota-preferential method of proportional representation for the election of representative bodies. Catherine Helen Spence, An Autobiography (Adelaide: Library Board of South Australia, 1975 (1910)), 93. Catherine Helen Spence, A Plea for Pure Democracy. Mr Hare’s Reform Bill applied to South Australia (Adelaide: Electoral Reform Society reprint 1986 (1861)), 18-19. Spence, Ibid, 19 extra comments (1895). Susan Magarey, Unbridling the tongues of women – a biography of Catherine Helen Spence (Sydney: Hale & Iremonger, 1985), 147. John Uhr, Catherine Helen Spence and Australian Electoral Reform Canberra: Paper for Australasian Political Studies Association Conference, 2002), 11. Susan Magarey, ‘Radical Woman’, in Eric Fry, ed., Rebels and Radicals (Sydney: Allen & Unwin, 1983), 120. RB Walker, ‘Catherine Helen Spence and South Australian Politics’, The Australian Journal of Politics and History, volume xv number 1 (April 1969), 37. Jennifer Hart, Proportional Representation Critics of the British Electoral System 1820-1945 (Oxford: Clarendon Press, 1992), 46. Magarey, Unbridling the tongues of women, 155. Catherine Helen Spence, ‘Woman’s Place in the Commonwealth’, United Australia Reprinted by University of Sydney Library 2001, 3. Spence, A Plea for Pure Democracy, 1. Walker, ‘Catherine Helen Spence and South Australian Politics’, 33. Magarey, ‘Radical Woman’, 121.Catherine Helen Spence, Effective Voting: Australia’s Opportunity (Adelaide: Shawyer & Co, 1898), 8. Magarey, Unbridling the tongues of women, 158. Uhr, Catherine Helen Spence and Australian Electoral Reform, 3-4. John Uhr, ‘Reforming the Parliament’ in Clement Macintyre and John Williams, ed., Peace, Order and Good Government: State Constitutional and Parliamentary Reform (Adelaide: Wakefield Press, 2003), 229. Magarey, Unbridling the tongues of women, 163. Issues Deliberation Australia, Constitutional Convention Final Report to Parliament,October 29 2003, 25.